Whites of St Albans have taken delivery of a Mercedes-Benz Sprinter 516CDi based EVM X-Clusive VIP. The minicoach’s power comes from a Euro5 163bhp common rail direct injection diesel engine with a seven-speed G-Tronic gearbox. 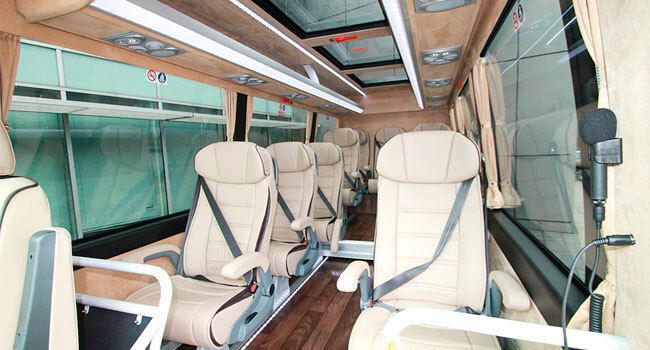 The specification includes an EVM plug type electric door, LED strip lights on the entry step, 11 EVM Extend VIP seats, an in dash air conditioning system and a convector saloon heater. The vehicle is also fitted with a Blaupunkt New York 800 World entertainment package. EVM Ltd supplied the vehicle.